(RFID) Radio-Frequency Identification is the use of radio waves to read and capture information stored on a tag attached to an object. This tag can be read from several meters away, and does not necessarily require expensive infrastructure developments. 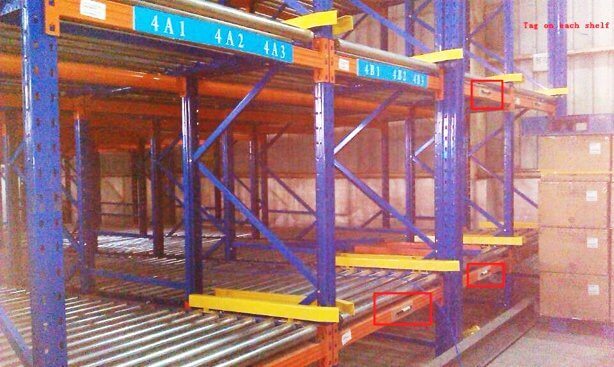 As you can guess, RFID tagging can be hugely beneficial in the warehouse environment. Optimization of Warehouse Space to Increase Profits: RFIDs can help maximize space/factory floor utilization, reduce operating costs, improve customer service and increase production without adding additional manpower. 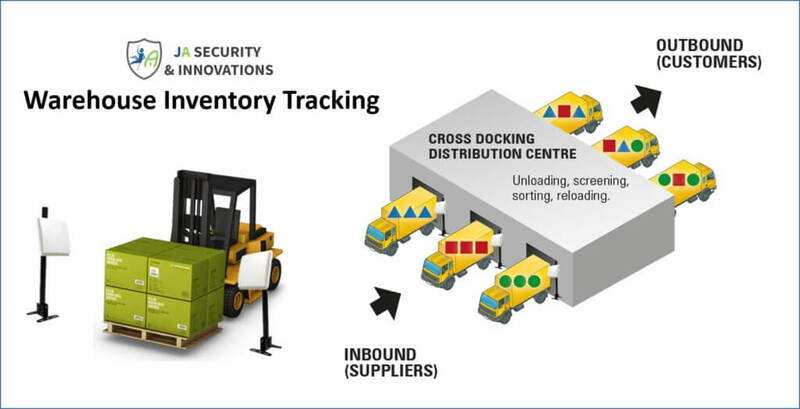 Automated Warehouse and Yard Management: RFIDs can help your company: identify shipping bottlenecks and rapidly adjust delivery schedules, access historical data on location and status of assets (without written logs), achieve increased supply chain visibility to meet SLAs and automate workflows and processes while capturing data on tracked assets across various sites. One of the most pain points in a warehouse is finding the location finished goods that have been shelved. We can solve this problem by labeling each rack with a unique ID using anti-metal RFID tags. These tags can be read by RFID enabled forklifts during the loading and unloading stage, and update the list of inventory and its location in the warehouse. RFID enabled forklifts eliminate the need install RFID antennas throughout your warehouse to make tracking a possibility. Click Here to learn more. JA Security offers a number of RFID solutions to fit your warehouse management needs. Email info@ja-si.com or call +65 94555414 for more information. We provide fully customised RFID solutions in Singapore.